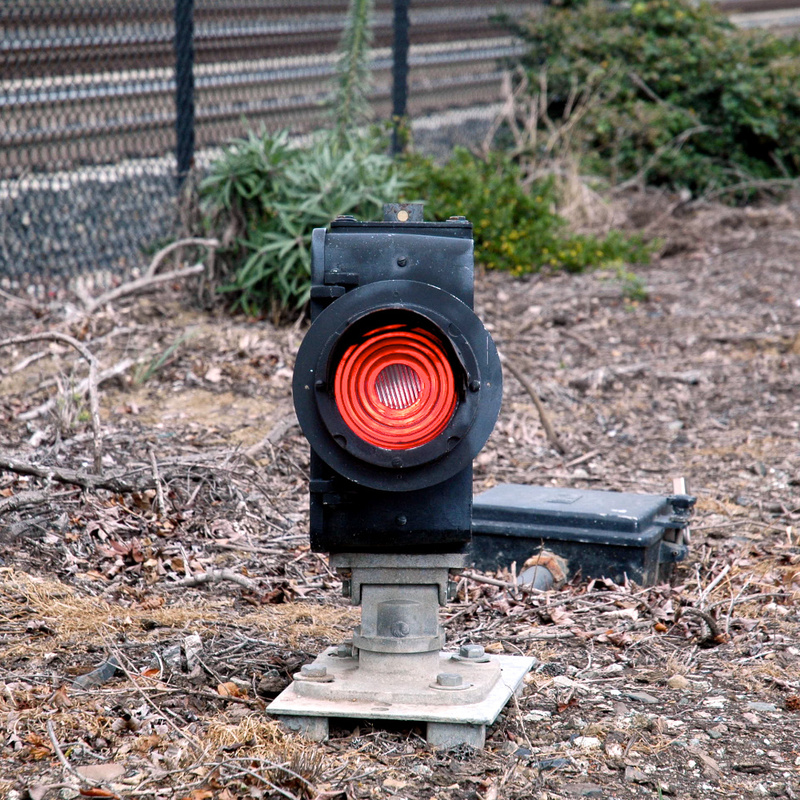 Dwarf signal guarding entrance to the mainline from a small industrial spur near Lawrence station, Sunnyvale, California. Shot with the Nikon D70s and the 18-70mm f/3.5-4.5 zoom at 70mm, ISO 400, f/5, shutter 1/800 sec. Cropping, white balance, exposure, contrast, saturation, and levels adjustments in Aperture.